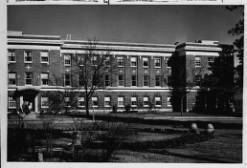 During the early years, Eastern Washington University was a normal school, which was the term for a teacher’s college. 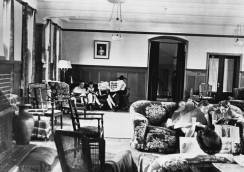 Most students were women, and by 1919, the administration decided it was time for a new women’s dormitory. Architect Julius Zittel, who had previously designed buildings for the school, designed the new building. His plans were very like that of Monroe Hall, minus the kitchen and dining room. These original plans called to construct the building out of reinforced concrete, but these bids exceeded the $120,000 appropriation funds from the state legislature. It was decided to construct a three-story brick structure. The Fred Phair and Co. of Spokane was asked to build Senior Hall but failed to complete it when it formally opened on July 9, 1920. This was due to some financial problems that prevented the third floor from being finished until 1925. At the time, President Showalter was away, so the ceremony was presided over by Vice President Ceylon S. Kingston. They named the new dorm Senior Hall as it was to be the home for the young women in their final year of study. It was used as a dorm until 1970 when it was renovated into an office building. Senior Hall was much more than just a dormitory. It was a home and refuge for the young women attending school. Many happy memories were made within these walls, as can be seen in many photographs taken by those who lived there over the years. 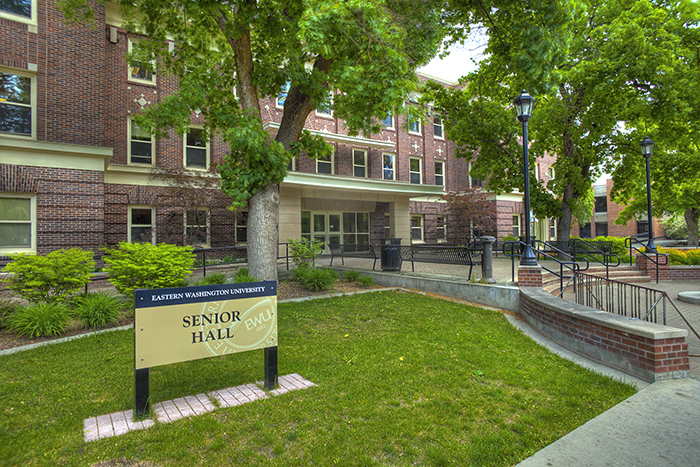 In 2006 Senior Hall was renovated again and is now home to EWU’s School of Social Work and Human Services. The historic building doubled in size and replaced the complete infrastructure. Senior Hall is one of EWU’s oldest buildings and is on the National Register of Historical Places and part of the Eastern Washington University Historic District. 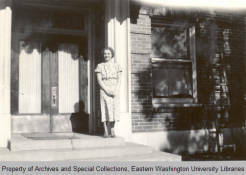 Rachael Hosko, “Eastern Washington University Senior Hall,” Spokane Historical, accessed April 19, 2019, https://spokanehistorical.org/items/show/715. 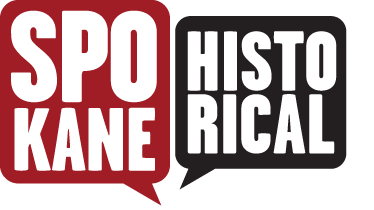 Cheney Historic Preservation Commission, A Guide to the Eastern Washington University Campus Historic District, [n.d.]. 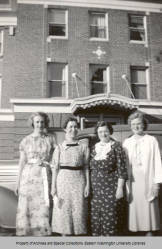 https://www.ewu.edu/Documents/Locations/Cheney/EWU_Historic_District_Brochure.pdf "Senior Hall Renovation & Addition." Eastern Washington University, Senior Hall | Cheney, WA | ALSC Architects. Accessed March 13, 2017. http://www.alscarchitects.com/portfolio/higher-education/ewu-senior-hall/.